The Painted Burro in Somerville made two major changes to improve noise levels: It moved the location of the bar and added soundproofing under the tables and chairs and to the ceiling and walls (painted with images). BROOKLINE — No one thought about the noise. Instead, the team that opened Ribelle last summer in Washington Square focused on the restaurant’s decor and inventive dishes that would soon win raves. Warm days meant open storefront windows. When fall arrived, the large glass windows were closed against the chill. Then the noise increased. A lot. The sound of cocktails being shaken reverberated against the mirror behind the concrete-topped bar. Cooks barking orders and clanging pans in the open kitchen competed with background music. Multiple parties sharing a wood communal table in the center of the dining room made conversation a challenge. Some customers at small tables were practically yelling to be heard. By October, chef and owner Tim Maslow got the message and installed professional soundproofing. The din at newer restaurants like Ribelle is not uncommon. The Globe dined at eight restaurants for an informal survey, measuring average noise with a mini sound level meter that has an accuracy of +/-3.5 decibels. Noise levels were in the range of 66-86 decibels. At Ribelle, the reading was 81 decibels. The elegant bistro Lumiere in Newton, which opened 15 years ago, was the quietest, with a 66-decibel reading, equivalent to the sound of normal conversation, according to several national health agencies. Merrill & Co., in the South End, was the most clamorous with an 86-decibel reading, about the sound of a power lawn mower, and a momentary reading of 97 decibels, which is like a roaring motorcycle. “The noise is at a desirable level for the management team,” Merrill’s general manager Joe Witherell writes in an e-mail. The Globe conducted an informal survey of eight area restaurants using a mini sound level meter to capture an average reading. The 2014 Zagat Boston Restaurants Survey found restaurant noise level to be the number-one irritatant about dining out, more irksome than service and price, according to online survey results. Over 70 percent of those surveyed avoid restaurants that are too loud. The results were similar in New York City, as well as nationally. About 8,500 persons participated in the Boston survey. Today, unhappy customers post their gripes on social media, deducting a star in a Yelp rating, or writing a review for OpenTable, where members can classify noise levels as quiet, moderate, or energetic. Restaurants pay attention. A 2011 Harvard Business School study found that “a one-star increase on Yelp leads to a 5 to 9 percent increase in revenue” for non-chain restaurants. 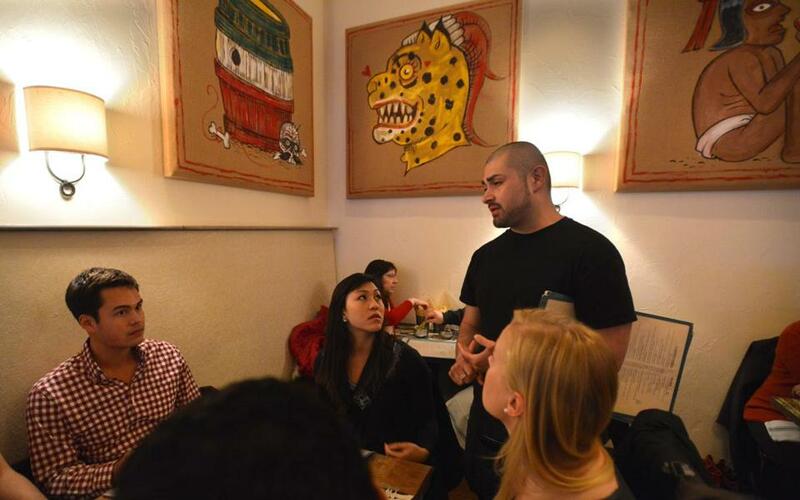 One restaurant tainted by Yelp noise complaints was The Painted Burro, in Somerville. 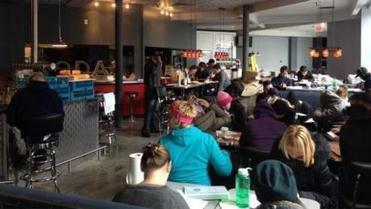 When it opened in March 2012, the Mexican spot became an immediate Davis Square hit. Three months later, Wes Vangel, 29, of Jamaica Plain went on a first date there and said the noise level was so “outrageous” he announced it on Yelp. “Essentially, our conversation had to be in short bursts, with ‘yes’ or ‘no’ questions,” Vangel recalls. When he returned with his date one year later, to celebrate their first anniversary, he noticed the noise “was much more normal. It was still on the loud side but it wasn’t intrusive.” Vangel amended his Yelp review. 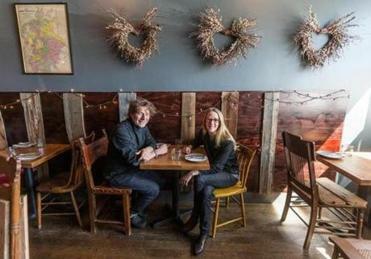 Bronwyn chef Tim Wiechmann and general manager Bronwyn Wiechmann added soundproofing to help reduce noise at their Somerville restaurant. Cassinelli applied soundproofing insulation under the tables and chairs. He also had 33 acoustic panels from New England Soundproofing installed on the walls and ceiling. The sound-absorbing panels are up to 2 inches thick and covered in fire-retardant material. Cassinelli had the wall panels painted with iconographic Mexican images to match the decor. None of this was cheap. He told Zagat he spent $30,000 on reducing noise. Customers have been raving about it since. 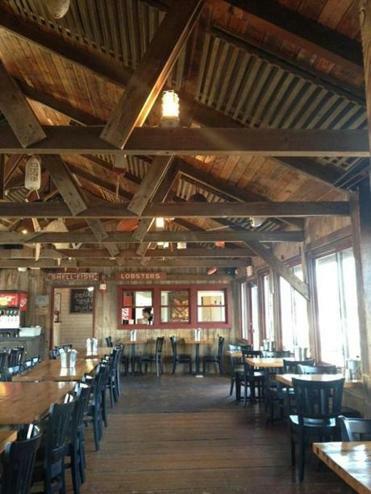 Last fall, the Lobster Trap in Bourne decided to remain open year-round. Closing the windows, which were on 75 percent of the restaurant, caused headache-inducing noise, says Drago of New England Soundproofing. His firm eased the problem with acoustic panels on the ceilings, covering them with wood slats so they looked like lobster traps. At the Lobster Trap in Bourne, soundproofing cleverly disguised in lobster trap-like slats was installed to help with noise levels. Lee says restaurateurs may be making false assumptions about how much noise customers will tolerate and speculates it may impact their dining choices. Baby boomers seek a balance of cuisine, service, and ambience, says Lee, because when they were raised, going to a restaurant was considered a treat, and they still view dining out as special. Millennials, who grew up wearing headphones and appear to have a higher tolerance for sound, see dining out primarily as a chance to socialize with friends, and prefer to eat in informal, communal settings. They’re the country’s most influential demographic group and dine out more frequently than boomers. But a new Hartman study finds the number of millennials who eat out has decreased to 49 percent, from 60 percent in 2011. Row 34, Puritan & Company, and Bronwyn in Somerville recognized noise levels had to be tamed and installed sound panels before opening, or shortly after. For Ribelle, the noise complaints were dispiriting. “It’s a little heartbreaking when you think you’ve thought of everything,” says Paopao. Still, restaurateurs struggle to find the right balance, “so people feel this is a cool, happening place but not enough noise that you can’t hear your partner,” says Michael Leviton, chef and owner of Lumiere and its hip sister spots Area Four, in Kendall Square, and A4 in Somerville. For customers, the short-term solution may be nigh. Warmer weather is on the way and restaurant windows will again be open. Or diners could download their own sound level meter apps to measure the noise, and then decide whether to join the cacophony.